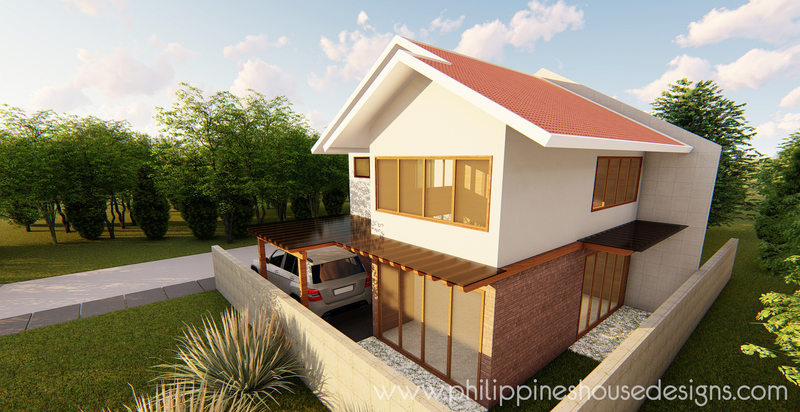 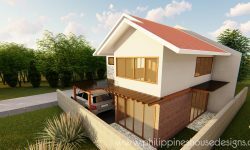 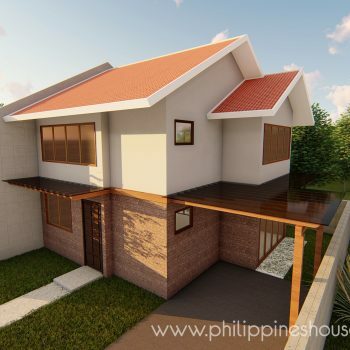 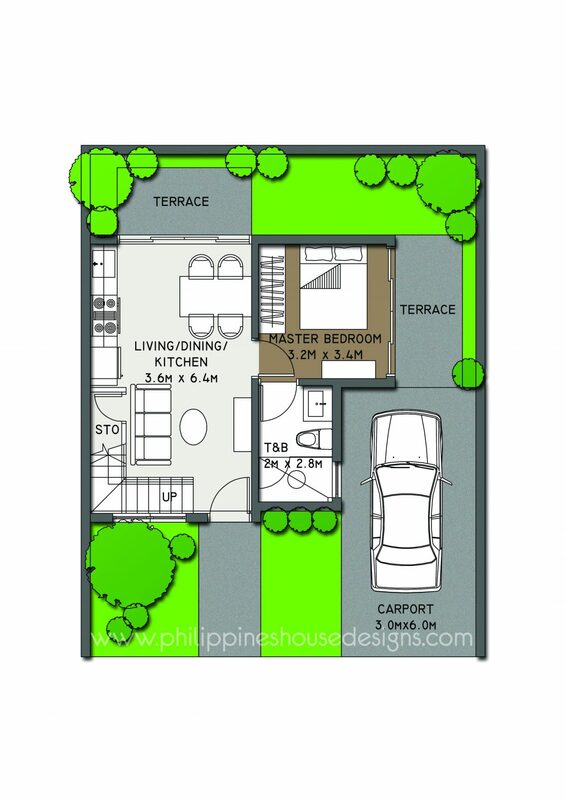 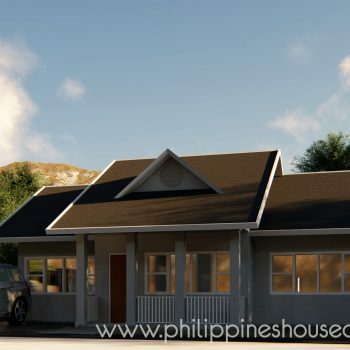 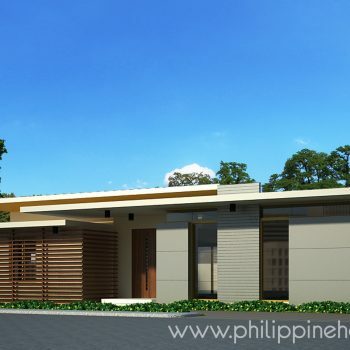 This two-story contemporary Filipino house gives a spacious feel. 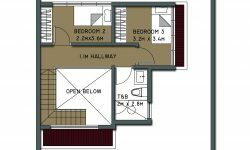 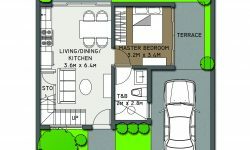 With 2 meters setback at the rear and the side, it allows for a verandah from both the living area and the master bedroom. 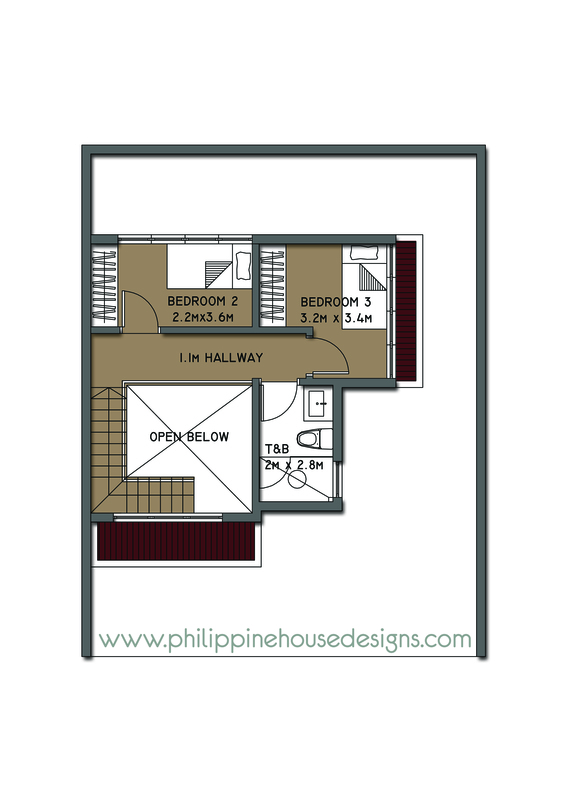 The double volume at the stairwell brings in much light to the ground and second floors. 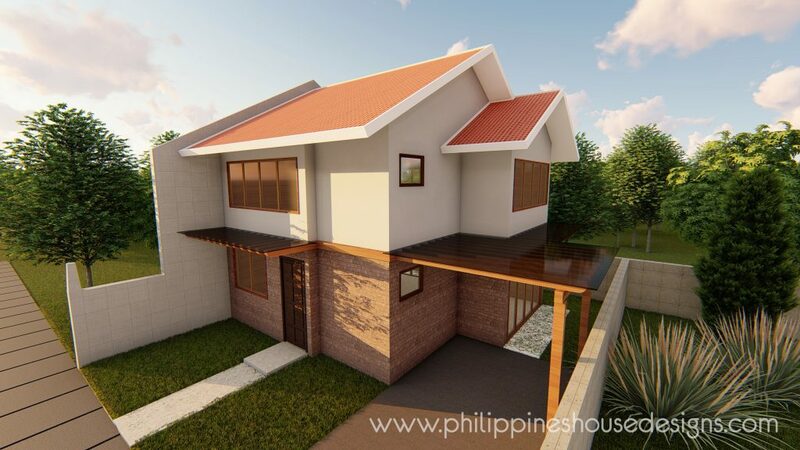 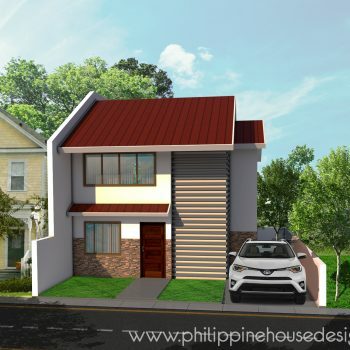 The trellis and the red and brown colors give a traditional Filipino feel that adds to the hominess of the design. 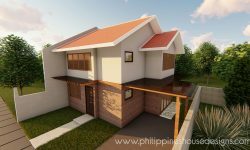 Change roofing material to red or maroon longspan.